I have a couple of pages to share today using American Crafts Freshly Squeezed and Gardenia. Starting off with the Gardenia.. These colours make me feel totally springy, how darn cheerful are they. 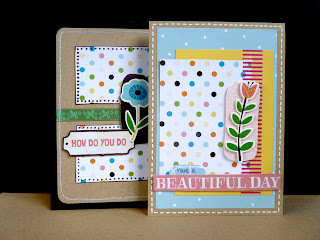 I loved this polka dot paper, the dots have a glazed finish and these colours will pretty much work with anything. 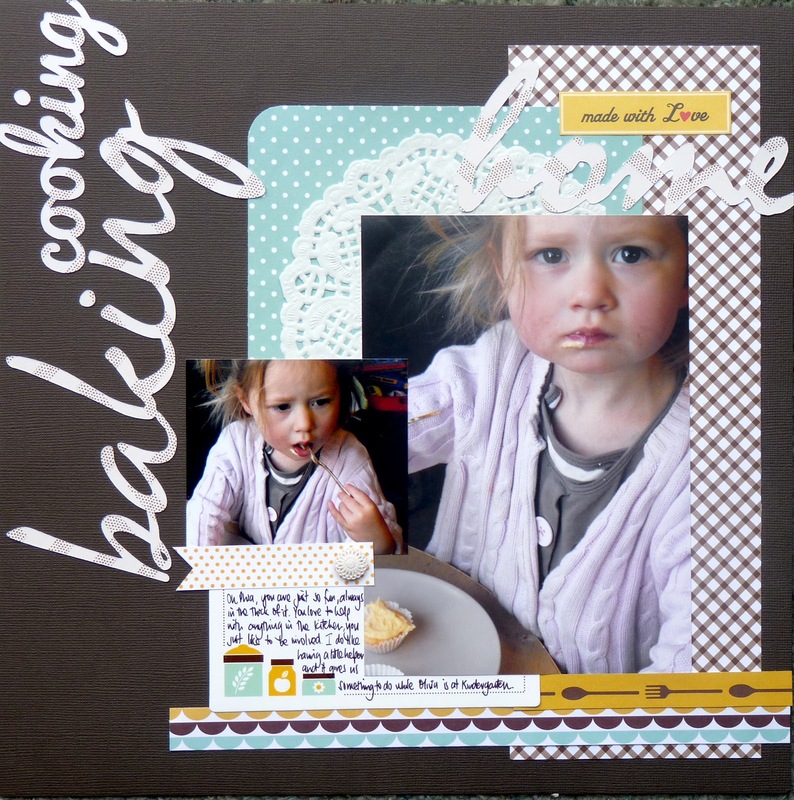 I used another couple of retails strips for borders across the page and I added some sewing and buttons for a little texture. I had already popped my title up with foam adhesive and didn't want my little flower embellishment to be at the same height and get lost, so I took the 3d sticker apart, don't be afraid to do this, used is better than unused! 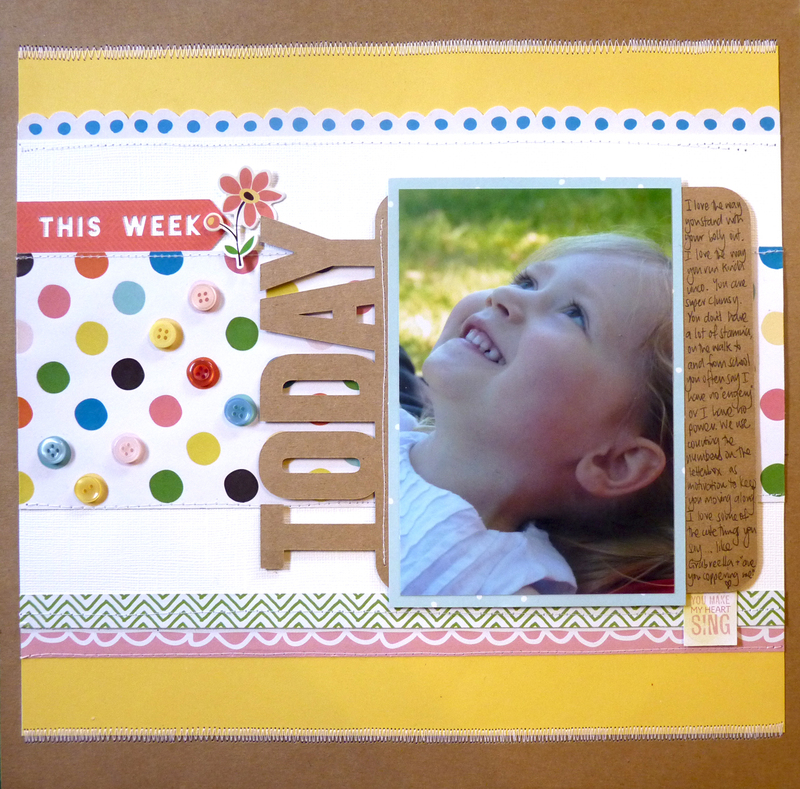 I actually used the yellow backing piece from the sticker on another layout so it was quite versatile really. Supplies: Gardenia Paper - Breezy Garden, Blossom Greenhouse, Perennial Gardens, Vine Nursery. I really liked how this turned out.. super simple... I cut the cardstock circle background on my Silhouette. It is an amazing machine. Then I basically just filled the gaps. 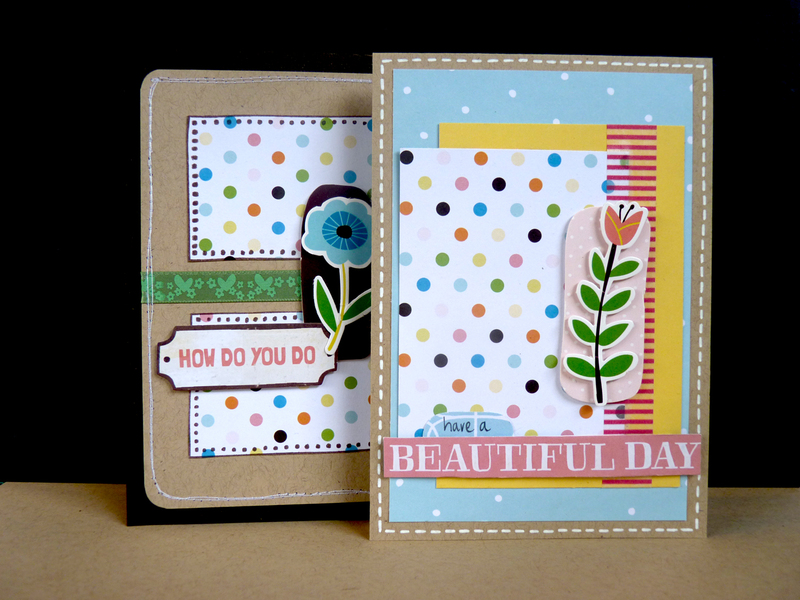 Next is a page using the Freshly Squeezed Collection, oh I love these colours, the brown, aqua and yellow. Love them! A bonus with this collection is some of these papers are quadrant papers, so on the B side they have four co-ordinating patterns measuring 6x6. These are a great way to stretch out your supplies and give you more options. For example this aqua paper is a piece of a quadrant, you got 6x6 of red dot, aqua dot, pink dot and green dot, that is right up my alley. You can't always tell that they are quadrant by the image online but in case you are interested, I know this one and this one are. I again used those adorable recipe cards for my journaling. And then lastly with my scraps... I whipped up a couple of cards. I try and do this while I still have all the bits and pieces out. I hope this encourages you to do those chores a little faster so you can get crafting, or in fact just leave the chores... they will be there tomorrow. Nice one Stewart they look great! Love the cards. 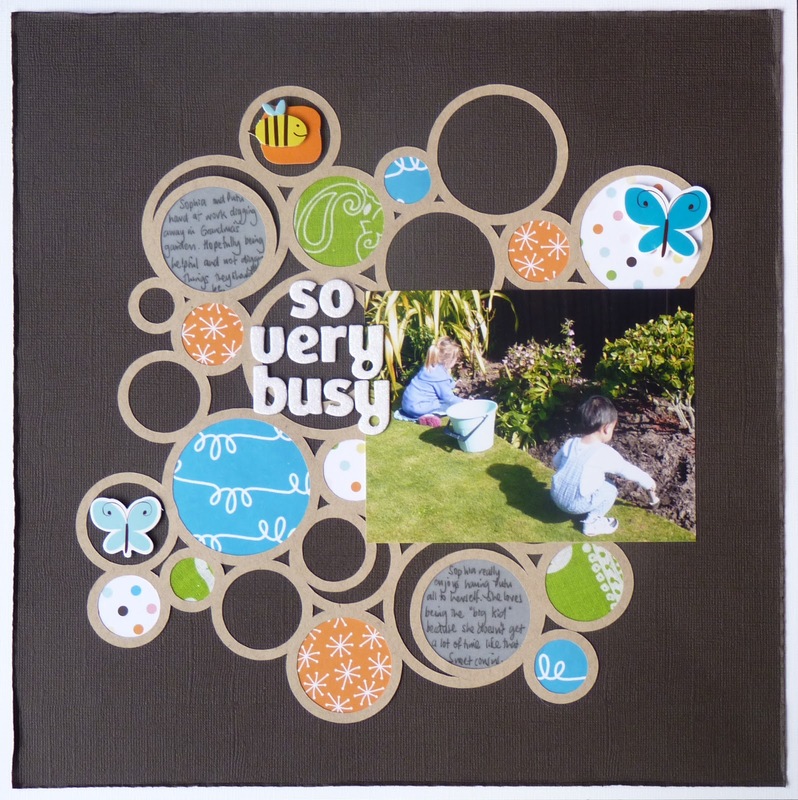 Hayley your layouts are brilliant - I love the circle one too! Im guessing the title of the third layout was done on your sillouette too? Love that style of writing as a title. I just saw your comment and thought I'd pop back in. Yes the title on the today layout and the scripts on the third layout are all done on the silhouette. I think I've used it on every layout since I got it. Those titles on the baking layout are all done with just regular fonts too, I just picked 3 that were similar and would link together .